If time is short, you can experience the beauty and seclusion of the Marlborough Sounds on our half day guided sea kayak trip. 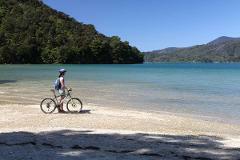 This tour takes in the western end of Queen Charlotte Sound with its sheltered coves and beautiful beaches. 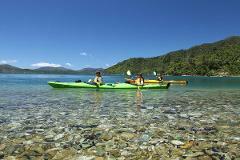 Experience the beauty of the Marlborough Sounds on our one-day guided sea kayak trip. This tour visits the western end of Queen Charlotte Sound with its sheltered coves, beautiful beaches and azure waters with the company of a local guide. 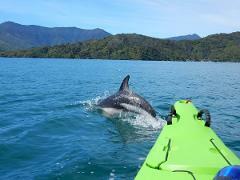 Our adventure combos are without a doubt the best way to experience the Marlborough Sounds if you only have a few days - with our 1 Day Kayak & Walk you can experience all the iconic activities of the spectacular area. This unique trip combines sea kayaking with mountain biking on the popular Queen Charlotte Track - all completed at day's end with a boat ride back to Picton. 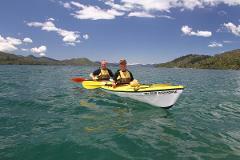 A great way to experience the iconic activities of the Marlborough Sounds. 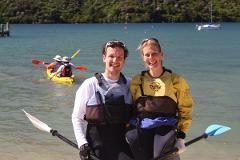 Experience the remote beauty of the Outer Queen Charlotte Sound on this unique one day guided kayak trip. This tour begins at historic Ship Cove in the far reaches of the Queen Charlotte Sound reached by boat ride to and from Picton. 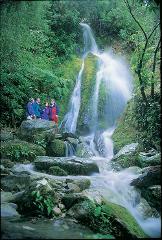 This day is regarded as the premier section of the Queen Charlotte Track. 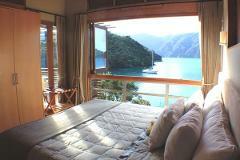 Many beautiful views are to be had across the Marlborough Sounds. 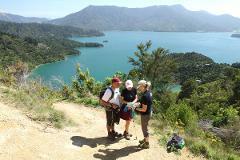 This is the original Queen Charlotte Track guided walk – we call it the Classic. Hike by day then come to rest at iconic lodges – Furneaux Lodge, Punga Cove and Lochmara Lodge complete with restaurant dining and ensuite accommodation. If you like the idea of walking the Queen Charlotte Track and sea kayaking the beautiful Marlborough Sounds, this this is the tour for you. Walk the first two days of the track then trade hiking boots for water shoes and explore by kayak. With our five day guided walk, you have the bonus of a day's rest where you can put your feet up, read a book or join us for a guided sea kayak tour. Stays at the iconic Furneaux Lodge, Punga Cove and Lochmara Lodge in ensuite rooms. This guided walk comes to rest each night at luxury lodges and a wildlife recovery and arts centre. If you would like to stay a little longer, our five day guided walk is a great option with an additional night spent at Raetihi Lodge. Enjoy a massage, relax with a book or use the complimentary kayaks and rest those weary legs for a while. 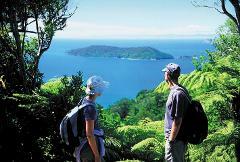 Are you looking for the ultimate in luxury while walking the Queen Charlotte Track? Stay in five star lodgings by night and walk alongside bush clad coves and across skyline landscapes by day with your knowledgeable local guide.